Hey Lover, the latest release from Mini Mansions, takes you by surprise from the moment Michael Shuman starts singing. It’s a conversation between two lovers and on first listen, sounds like a beautiful love song but Mini Mansions has a delightfully twisted way of making darker subjects feel lighthearted. It features legendary vocalist Alison Mosshart from The Kills and The Dead Weather and will be on their new album, Guy Walks Into A Bar (out July 26). 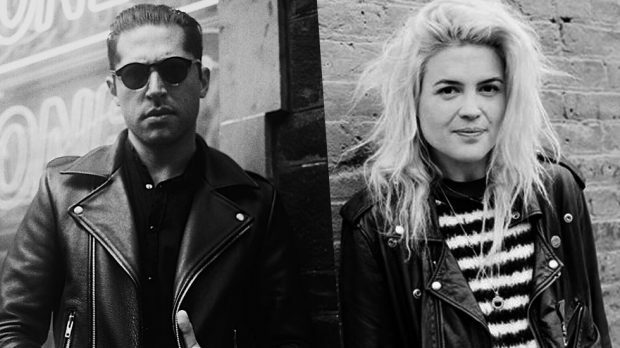 Mosshart’s vocal complements Shuman’s deeper voice perfectly to give the song greater meaning. The clip ends with Shuman walking away with his band mates and Mosshart left hanging on the phone… poetic really seeing as we are all hanging for the album release.